Paying For ABA - I Love ABA! 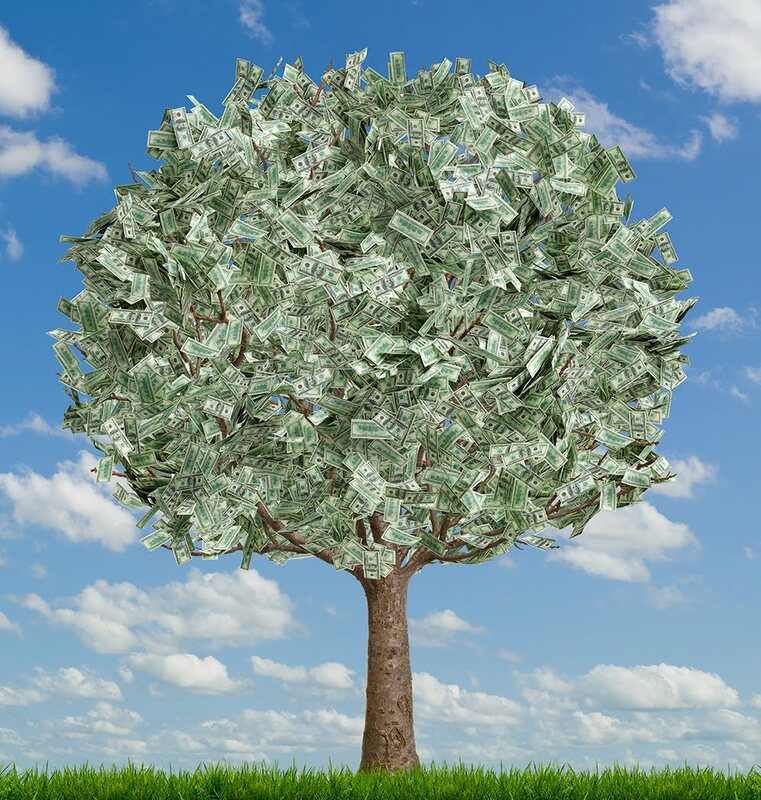 If you have a money tree in your backyard this post isn’t for you. 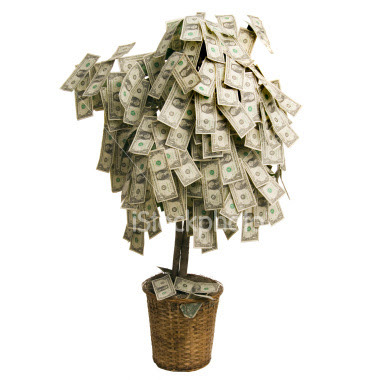 Also, please drop me an email and let me know where you found a money tree. -Teaching Materials (reinforcers, flashcards, data sheets, timers, clipboards, etc). Everything on that list has recurring cost. For example, supplies aren’t purchased one time, and then you’re done. Some of the best clinical programs I have seen are SUPER materials heavy, with hundreds of flashcards, visuals, etc. For one year, a basic ABA program could cost somewhere around $80K. That doesn’t include additional costs like medications/supplements, other therapies, private school, etc. I don't know about you, but the families I know simply cannot afford that. As an ABA professional there are many aspects of my job that can just be heartbreaking. It’s very difficult to see a child who desperately needs therapy go without services because of cost, or to work with a family who must suddenly stop therapy because of cost. In this country we have a long way to go in terms of understanding the critical need for Autism services. Although it is statistically clear that Autism rates have risen, the treatment accessibility has remained mainly open to the financially well-off. Not helping matters any is the reality that the pool of professionals available to offer ABA therapy is quite small compared to the demand (and that small pool gets reduced as the child ages). Add to all of this a seriously hurting economy and parents are left to wonder who exactly is going to pay for this much needed therapy. This is such an important topic that I want to be very careful in saying that I am NOT an insurance coverage expert. I'm not the final word on financial resources for ABA therapy. I am happy to share the information that I have but be sure to research what is available in your area, as much of this information differs from state to state. For the international readers of my blog I do not know much about financial resources for ABA Therapy outside of the US. I would suggest you talk with other parents in your area, do research online, and check with your insurance company and see what options you have. If you are financially able, you may want to consider moving to a country that has mandated laws regarding Autism and Autism therapies. Private Pay- Private pay means paying out of pocket for therapy. Be sure to ask the provider if they use a sliding scale for private pay clients. Also, please note that if you are wanting to receive private pay services from a company/provider who normally only works with insurance clients, they may expect you to pay what the insurance company pays. The reason why being, if they charge you a lower rate then they would have to reduce what they pay the staff and Consultant who work on your case. With private pay, your payment may be due at the end of the month, or even per session. Also, some individual providers do not accept check payment. Keep in mind that if you pay for therapists to provide therapy in your home some of that cost may be tax deductible. Contact your tax preparer to find out if you can claim any costs of ABA therapy, including staff salaries or therapy materials. Scholarships/Grants/Waivers- These are funding sources available from the state, Autism agencies, or non profits that give stipends or grants to families for ABA therapy (such as Easter Seals). 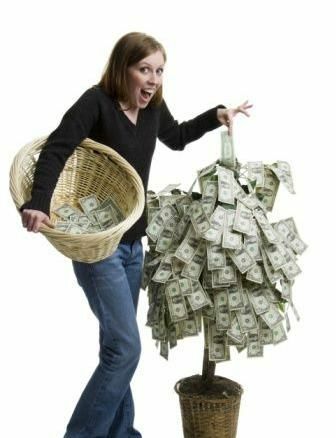 There is usually a precise paperwork process to request these monies, and typically a waiting list. If you live in GA, there is a link below to funding sources available for parents of varying income levels. Even if these stipend amounts are small, trust me: every little bit helps! Sometimes multiple grants or waivers can be applied for by the same family, each year.Also, sometimes ABA companies will reserve a "scholarship" spot for needy families. It may only cover limited services, but still ask about this option. Loans- Some families secure loans from banks, organizations, or family members to cover the cost of therapy. When considering loan options always look for low interest rates and know the details of the re-payment plan. School Funding – Many families have children who receive free ABA therapy at school, although usually this does not include wrap around services (meaning they will not come into the home to help you). You also need to know who is supervising and managing the ABA program at the school. Is it a teacher? A BCBA? The Special Education Director? Be sure to ask how that person is qualified to manage an ABA program. If your child’s school does not provide ABA therapy, they might have an Autism program or Autism classrooms. In some instances, parents have been able to successfully petition the school system to pay for ABA therapy in the home. This was no easy accomplishment and in some cases took litigation, but I have seen it happen. Respite Providers/Students – You can minimize salary cost by hiring college students or respite providers to provide therapy. Many states have respite agencies that will send individuals to your home to provide respite care at low cost, or no cost. These respite providers may have an ABA background, in which case they could work with your child. Another option is to use the providers sent out by early intervention agencies in your state. In GA, the early intervention agency is called Babies Cant Wait. If your child is not meeting developmental milestones and is under age 3, they are eligible to receive services in the home from a Special Instructor at no cost to you. Some of these Instructors may provide ABA therapy and some may not. If you decide to hire college students they may get course/internship credit for working with your child, and you wouldn’t have to pay them. I would suggest contacting the Education, Social Work, and Psychology departments of college campuses near you to gather a pool of students. With all of these options you would still need a Consultant to oversee the quality of the program and provide training. 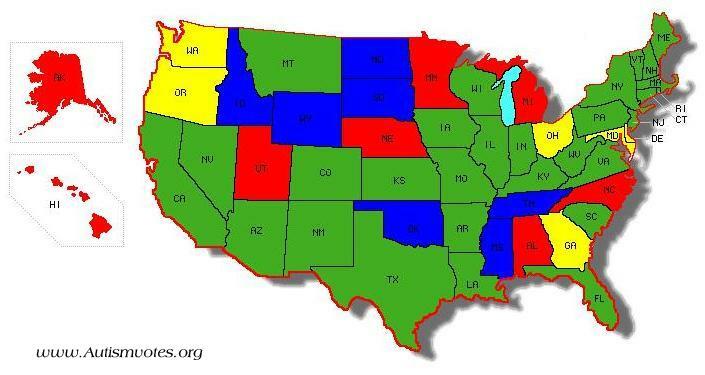 The green states have enacted laws to require insurance companies to pay for ABA therapy. The red and yellow states are working towards laws but are currently only at a bill level regarding legislation, and the blue states are not pursuing legislation at all. As you can see, depending on where you live insurance coverage might be a great option or a nonexistent option. Further complicating matters is even if you live in a green state you still may be unable to get insurance to cover your child’s therapy. This is because of something called “Self Funded Insurance Plans”. A self funded insurance plan is when the company you work for pools their own money together to pay claims rather than contracting with an insurance company. That means it is up to individual companies to offer ABA therapy on their insurance plan or not. The only way to know whether your insurance is self-funded is to ask your employer. The insurance issue is much more complicated and complex than I can explain here. If you live in a state that does not mandate insurance companies cover ABA, know that this issue is currently being lobbied for around the country. Even for families who can get insurance to pay for ABA therapy, there are still many flaws in the system. Some insurance companies will only pay for services provided by a licensed Psychologist, only pay for a minimal amount of therapy each month, or make it extremely difficult for BCBA's to get reimbursed for services rendered ...thats another thing, if you want insurance funding you typically have to hire a BCBA. Many insurance companies are new to working with ABA providers and don't quite know how to categorize us, so they routinely deny our claims. That means the BCBA may regularly wait 45-90 days to get paid for their services. That can really deter a BCBA from accepting insurance clients, and you may be responsible for payment of the claim if the insurance company refuses to pay. Run a Program Yourself! – I always present this option to parents, because you are in the best position to take the reins of your child's therapy. Especially with the economy crisis right now and the insurance mess; this is the most realistic option for many parents. In my post on How To Start An ABA Program I described the steps parents can take to run an ABA program. For many reasons families cannot always hire staff to provide in-home therapy. For the international readers of my blog, this option may be the best pick for you. I have a client located outside of the US and they live in an area where there are no Autism schools, services, or professionals. Where they live, information and knowledge about Autism is extremely minimal. What this family chose to do was run an in-home therapy program themselves, to fight for advocacy in their country, and to hold seminars open to the public to raise awareness. The mother provides her own son with intensive ABA therapy per week, and also trains individuals (relatives, babysitters, etc.) as needed on basic ABA knowledge. The out of pocket costs for this family includes consultation, supplies, and materials. They make much of the materials and supplies they use, so that also brings costs down. Is it difficult for a parent to be their own child’s therapist? Absolutely. But is it possible? Definitely. I hope the example of this family can be a source of inspiration. If you live in an area where ABA resources don't exist, please don’t think all hope is lost. If no funding options are available to you, I encourage you to get on the floor, pull out those flashcards, and start teaching your child yourself. Who Pays for ABA Programs? I loved to read that!! It would be great if all parents had access to quality services, but that isnt reality. For the parents without access, I absolutely recommend they "do ABA" themselves. For someone new who wants to change careers what do you recommend as a side job since most ABA therapy sessions are evenings and weekends. Its been difficult to leave to full time job for fear of not being able to continue to afford to pay the bills since there will be a salary reduction as I am starting out getting the experience I require. I definitely understand the financial constraints when just starting out in this field. I was lucky enough to start in the field when I was a single college student who lived on campus, so I really didn't need to make a lot of money. For others, they aren't so lucky. I think because ABA tends to be so flexible it would work great as a side job. I know therapists who teach, work at daycares, work as private nannies, work in customer service positions, etc., while simultaneously seeing 1-2 clients outside of their working hours. I dont think it would be difficult to do if you only had a few ABA clients, and if you are ok working weekends. You may need to keep a FT job and have ABA as a side job until your experience grows and you can make a decent hourly wage. I am currently pursuing a career in ABA and have been working with kiddos on the spectrum since the past 10 years. I liked your blog a lot and couldn't agree more on the issues you have touched especially of the costs related to ABA services. Yes, the funding and services available have a LONG way to go to catch up to the demand and the need....its very hard to see kids go without treatment for lack of funding. I have read your blog in the past and I checked it because I am in an Ethics for BA's class. One of our case studies surrounds non payment to the BA for services. I was happy to see my proposed solutions were on the right track after reading your post. I hadn't thought of training and educating the parents to run the program themselves! I also thought of reveiwing financials before services begin to determine a sliding scale rate and also assisting families with applying for grants etc. What are your thoughts on trying these solutions first before discontinuing services for non payment when the client will suffer? And then what happens when all avenues have been exhausted with no luck and services must end? Typically, financials are reviewed/explained during intake. So that is one of the first things a client needs to know, is what will they be charged, when is payment due, how often are they invoiced, what kind of services are billable, etc. This process would include explaining what happens with services if non-payment occurs, usually in writing. So these would not be nasty surprises for a parent, it would be information they have already reviewed and signed their agreement to. Hi everyone! Does anybody know what the rate is for BCBA consultation services with adult group home is? Specific BCBA rates are hard to estimate, because they vary from one provider to the next, based on experience level, and based on funding source (if they accept insurance funding or not). I would say the average BCBA consultation will begin at $45-$50/per hour.